Pre-baby prep - 7 things to get sorted before the big day! Pre-baby prep – 7 things to get sorted before the big day! As if growing a tiny human isn’t energy-sapping enough, there is so much to organise before welcoming your bub into the world. Don’t be overwhelmed, just work your way through this handy list and we’ll have you feeling more than ready for the big birth day! It’s easy to put your health on the back-burner while you’re pregnant – particularly if you’re suffering from morning sickness and exhaustion. The most important thing to do is make sure you connect with a great medical professional with whom you feel comfortable, and maintain frequent contact throughout your pregnancy. They will guide you through regular appointments to monitor your health and your baby’s, and also organise prenatal testing. Generally this will include appointments every month for the first 28 weeks of pregnancy, fortnightly visits until 36 weeks and then weekly appointments for the final month. Talk to your employer about maternity leave, and work out dates based on the advice of your doctor. Investigate what you and your partner may be entitled to through the federal government, and your employers. Nut out a family budget, that will be sustainable for the amount of time you’re taking off work. It seems a long way off, but you may need to investigate your childcare options early to ensure securing a place. You’ll need to check it fits into your budget when you return to work. Set up regular direct debits for your essential services. You’ll find this much more manageable on one wage, than getting lumped with large bills all at once. Unless you’re having your baby at home, you’re going to need to have this organised before your little one’s birth. Research is key – find a seat that’s safe and works with your family – this may mean a car seat that can be used as part of a travel system with a pram. You’ll also need to book in to have it professionally installed, if you’re not confident to do it yourself. As many cotton or muslin wraps as you want – you will find you’ll go through these really quickly! Socks – about seven pairs, but these do tend to disappear in the wash so a few extra won’t hurt. You can get a baby jacket, but you’re best just wrapping your little one in a blanket when heading out for the first few weeks. Now here’s something you should take your time choosing, and make it a good one – it’s going to get a workout for the next few years! A nappy bag will be your lifeline when you’re out and about with your newborn, and you can use it straight away by taking it with you to the hospital. You need to decide which style of nappy bag will work for you. 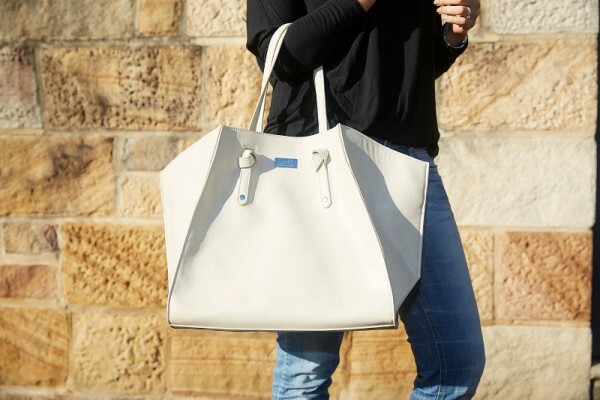 A tote will give you easy, quick access to everything you need and look gorgeous to boot. If you love your bits and bobs stored well, go for something like a satchel. This stunner from Isoki has 13 pockets, so you’ll know where everything is at a glance. 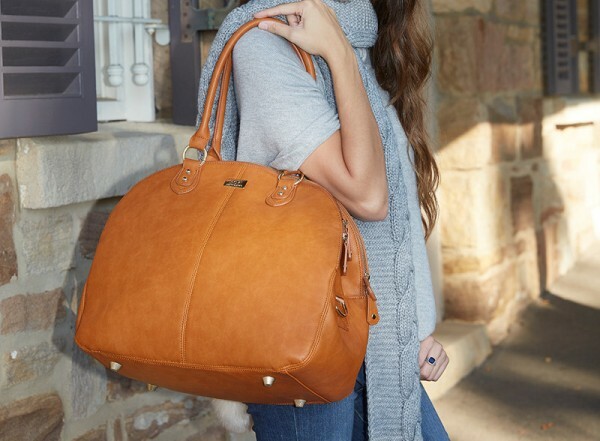 If you need something roomy, that can double as a weekender, the Madame Polly is your girl! It’s sorted into separate compartments so you can keep your essentials handy, but segregated. Whether you have a dedicated nursery for your newborn, or they are bunking in your room for a few weeks, you need to organise the essentials before they come home. A bed – either a cot, bassinet or cradle. Bedding – just simple cotton sheets and a blanket. A nursery chair, or somewhere that you can feed in comfort. Change station. This can be as simple as a padded mat on a chest of low drawers – just somewhere that you can safely change nappies without straining your back. It can be a little daunting thinking of everything you need to sort out in your house before the big day. Break it up into manageable goals over a few weeks, and you’ll be there in no time! Have your carpets professionally cleaned – that beautiful bub will be crawling around before you know it! Set aside a cupboard in your kitchen that you can store baby bits and pieces (breast pump, baby bottles). Do some simple baby proofing ahead of time, and you’ll be glad you did. Things like putting plastic plugs into electrical sockets can be done early, and by the time your baby is getting around you’ll be used to having to take them in and out to use the plugs. Knock off any of those odd jobs that have been lingering on your to-do list. 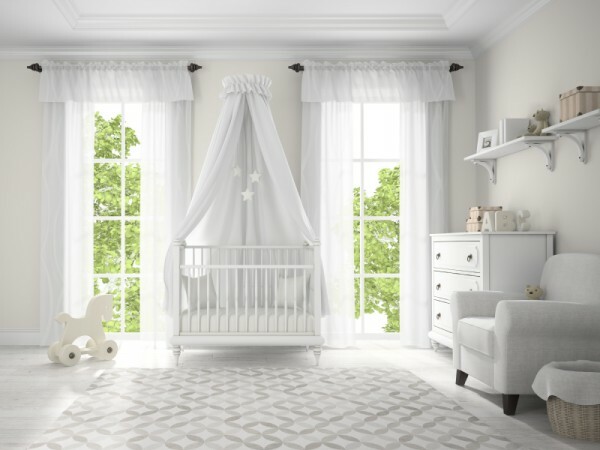 Things like repairing broken fly screens and patching up walls won’t take too long, but it will make you feel so much more comfortable not to see those annoying things in the background while you’re home with a baby. Don’t forget your pets. Talk to your vet about the impact on your fur babies so that they won’t be distressed when you bring home a real baby!